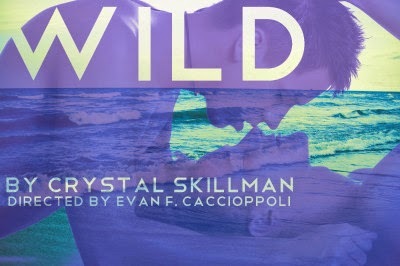 "I am interested in telling stories of my generation..."
How did you get involved in the Sanguine Theatre Company's production of Crystal Skillman's WILD? Based on that ten-minute scene, I commissioned her to develop a full-length play because I am interested in exploring stories of my generation, not the kind of whining, 'I just got out of college and can't get a job' stories, but some of the things my generation is dealing with, i.e., long term relationships, and how relationships and people change after college, and here in that scene, it was happening in such a unique way, and I definitely wanted to know more about those two characters and so did Crystal. How did you two work together to develop the play? nurture the play, but it also nurtured our friendship. We talked about our lives and families, and where we were, and I think a lot of that went into the play. She would write. I'd ask questions. She'd ask me questions, like what I was thinking, and it became an amazing conversation between us. I had never had this experience before. It was so much more collaborative. I always thought I just had to figure out work on my own. We rehearsed it in three weeks and did it in 7 performances in a 30-seat house. Some days, we sold out, other days there were 10 people in the audience but it was the greatest learning experience of my life so far as an artist - just tell interesting stories and not following someone else's rules. So in August 2011, we started to work together, then in January 2012, we did a table read with actress Diana Stahl, (who is now in the production and has been in every workshop/reading except for the Chicago production). Then, I flew off to Chicago to do it there at Angel Island Theater, which is a storefront theater. We did a three-week run over June and July, 2012. That is my bi-eastcoast/mid-westal dream, Chicago and New York so that I can grow my voice and Kid Brooklyn Production's voice in both cities. How did Kid Brooklyn Productions come about? I graduated college trained as an actor but knew I wanted to direct and applied to a ton of apprenticeships but got none, so I looked to my theatrical heroes, like the Steppenwolf Ensemble who were committed to doing their work from day one regardless. So I thought I'm going to somehow put up a production of my own, even if it's only for a one-week run. 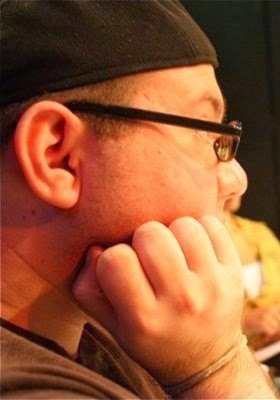 This was 2011. The show went up in March/April 2011 and was the American Premiere of UNBROKEN by Alexandria Wood. How did you come across that play? I had gone to London visiting friends and one of my favorite things is to go to the National Bookstore to buy things that look interesting and I bought five plays that I knew nothing about by London playwrights. I was looking for something interesting to explore and good for a first production, something smaller and UNBROKEN was a really short play. The script is only about 42 pages, and I felt like I could do it really simply with no money, so I contacted her agent and they said her work has never been done in America but if you're interested, she'll give you her world premier so we did it. Next is Encounters: the la ronde project which is a modern adaptation of Schnitzler's play. Kid Brooklyn Productions has commissioned nine playwrights (Micheline Auger, Evan F. Caccioppoli, Troy Deutsch, Emily DeVoti, Nic Grelli, Charlotte Miller, Kristen Palmer, Sarah Shaefer, Crystal Skillman, and Ken Urban) to each write part of this theatrical series of encounters between different couplings in modern day New York. It'll be done at June 26 to July 6 at IRT. The goal of the KB Lab Series is to offer a safe and creative developmental environment for new work. Each playwright/director will be given two weeks rehearsal, minimal technical aspects, and three to four performances in front of an audience. Then in the winter of 2014, our goal is to put up the world premiere of a play we've commissioned from Sarah Shaefer called ALL'S WELL THAT ENDS HAPPY. I have several other projects I'm developing that I'm excited about! I'm also heading to grad school in the fall to get my MFA in Directing at The Actors Studio Drama School at Pace University. Kid Brooklyn is also always looking for new plays, so playwrights email us your work! 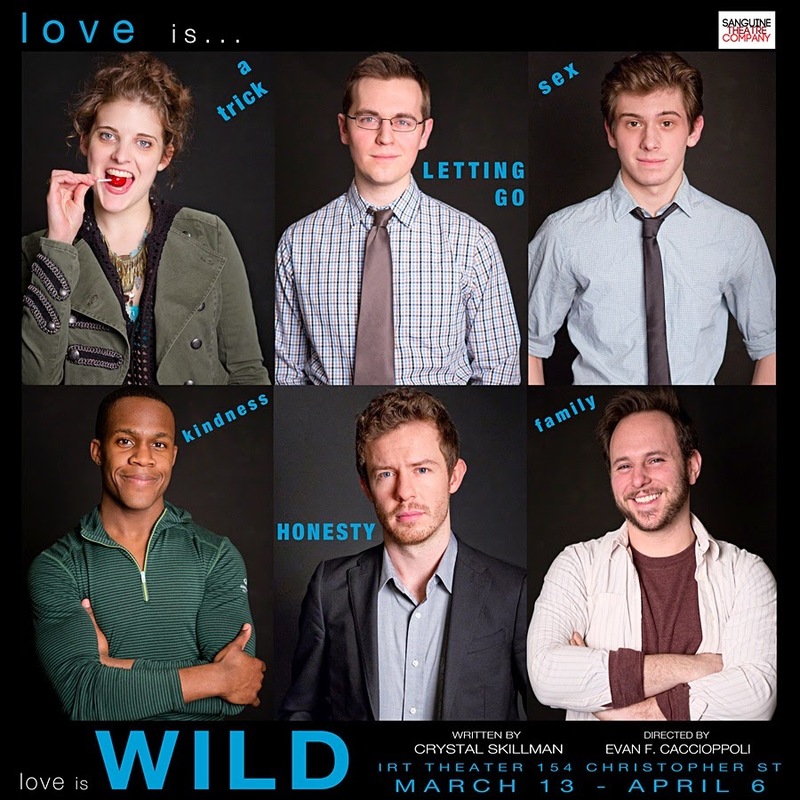 Performances of WILD run now through April 6, Thursday through Saturday at 8:00 pm and Sunday at 3:00 pm at IRT Theater (154 Christopher Street, between Washington St. & Greenwich St.). Tickets are $15 in advance ($18 at the door) and available at www.brownpapertickets.com or by calling 800-838-3006.